Today we’d like to introduce you to Sara Gottfried. Thanks for sharing your story with us Sara. So, let’s start at the beginning and we can move on from there. I often do not think of myself as the typical “yogi.” Before starting the practice of yoga, I had a stereotype of what a true “yogi” was. Perhaps calm, cool, and collected and one who can invert the body in a variety of complicated ways. I have a type-A personality and live my life according to a schedule (I have an ample amount of color-coded calendars!). Since I was a child, I struggled with anxiety. However, when I was in my sophomore year of high school, my anxiety significantly soared and I encountered major emotional, mental and physical health issues. For about 3.5 years I was truly not myself and I could not engage in nor enjoy life to its fullest. During that period of time, I delved into the world of yoga after doing some research and wanting to see if yoga truly would be beneficial or if it was just another fad. researched different yoga studios, contemplated doing private sessions versus group classes, and questioned if I was even in the mental or physical state to actively participate in a yoga class. But, one day I was driving and happened to glance over and saw a yoga studio that had recently opened. About 20 minutes from my house, I realized that I wanted to give this yoga “thing” a try. When I stepped into the studio and took my first beginner vinyasa yoga class, I was a bit nervous, apprehensive, and confused. I was warmly greeted by the teacher and students and instantly felt the warmth of the room. Throughout the class, I kept looking around to make sure that I was doing the poses right and I attempted to put on the “yogi” facade. However, I quickly found out that once you step onto the mat you can focus on you and no one else is watching. I felt “lighter” and present in the world. For me the practice was, and still is, a way to hit pause on what is happening in my life and take an hour or so to slow down and be grateful for who I am, how I am, and what I am. Long story short, I fell in love with yoga and the rest is history! (However, I do think it is important that I point out that yoga did not “cure” me of my mental and physical health issues, but it did serve as a complimentary practice and I fully support and believe in the power of yoga and mindfulness.) I do not consider myself the typical “yogi.” I am still an anxious, routined, type-A individual. I thrive on a good ole’ fashioned shopping list, stop in an instance to help another out, and never miss a good sale! But, no matter how busy my day, week, or life is, I make a true effort to get on my yoga mat. So no, I am not calm, cool, and collected 100% of the time and no I do not magically breathe away my frustration, stress, or sadness. But, I do make and take the time to practice yoga so that I can focus on my body- emotional, mentally, and physically. Today, I am a Registered Yoga Teacher, RYT-200, Certified Children’s Yoga Instructor, Prenatal Yoga Teacher, CPR/AED Certified, and a Balanced Athlete Level 1 Trainer. 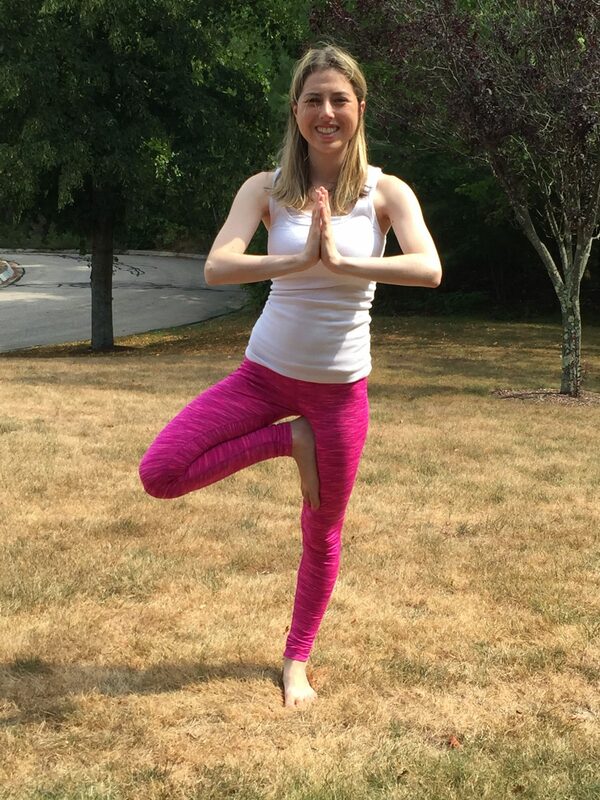 Aside from teaching at studios and gyms, I am an Instructor and Teacher Trainer In-Training for a yoga company, a volunteer with Hands to Heart Center and New England Yoga Reaches Out, and am fully insured. Like anything, yoga has not always been a smooth road. I think that the most important thing for me is to remain true to myself and what I believe in. I coined “Stretch Yourself Yoga”- stretching your limits emotionally, mentally, and physically in February 2016. Yoga is at an all-time high right now. Yoga studios are popping up everywhere in a variety of forms, whether it’s a retreat, at a local brewery or winery, being combined with pilates and barre classes, and so much more. But, for me, I constantly remind myself of why I started the practice of yoga. I started because I had mental and physical health issues. So, whenever I teach yoga classes, whether it is for adults, kids, or families, I always teach with a sprinkling of mindfulness and an emphasis on doing what is best for you- emotionally, mentally, and physically. 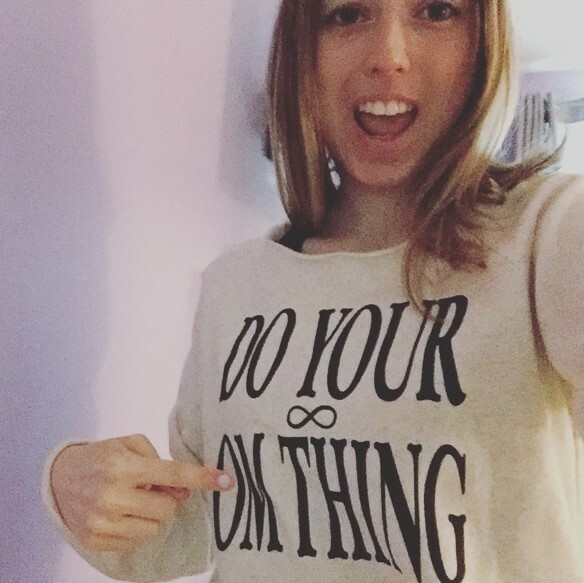 I think that in a society that is so eager to jump onto the latest diet and exercise trend, that it is essential to always ask yourself, “Why am I truly doing this?” Don’t just jump into yoga because you think it’s the quickest way to lose weight, to free yourself of stress, or to merely dismiss challenges going on in your own life. Do yoga because you want to because you want to reap and learn the benefits of being present in the moment. Throughout my teaching, I cannot even count how many times I have encountered the, “Oh I’m not flexible enough to do you… ” To be honest, yoga has absolutely nothing to do with flexibility. Yoga has to do with YOU and only YOU. So, I would say that my biggest struggle is staying true to who I am and not getting caught up in the new yoga fad. I like traditional with a sprinkle of the “Sara” twist. Stretch Yourself Yoga – what should we know? What do you guys do best? What sets you apart from the competition? I teach adult, children, and prenatal yoga. As someone who has worked with children in a variety of settings, I have seen both the successes and challenges that children endure on a daily basis. I believe that with patience, imagination, and creativity, yoga and mindfulness can equip children with the tools necessary to thrive in the world- emotionally, mentally, and physically. I steer away from the typical sports-based arena and focus on providing a non-competitive, team building, and safe environment. Each yoga class is significantly customized to fit the needs of each and every student. I integrate the values of community, peace, and positive energy throughout my children’s yoga classes and emphasize personal acceptance: “Be Kind, Be True, Be You”. In addition, I understand that not all children learn in the same way, thus, I integrate auditory, kinesthetic, and visual learning techniques into every yoga class. 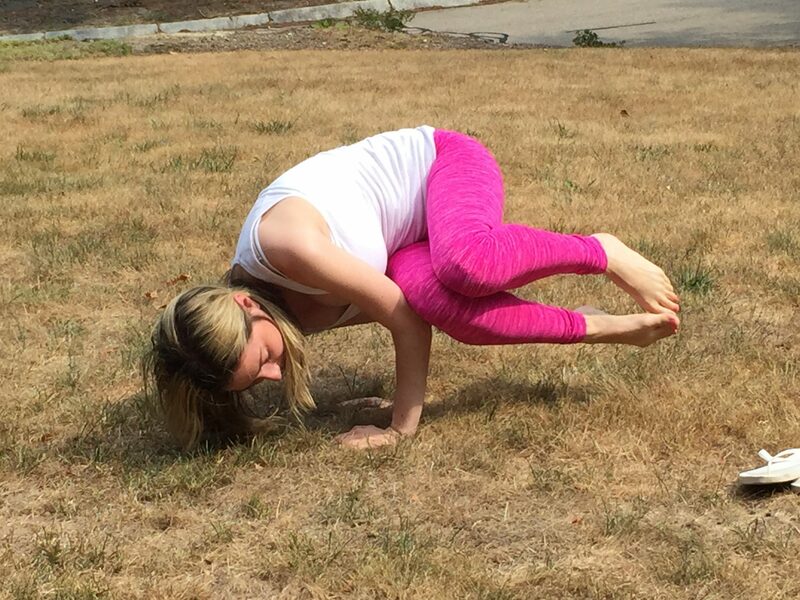 Within the realm of children’s yoga, I teach privates, group classes, and mommy-and-me classes. I have taught at camps, after-school programs, for Girl Scout and Daisy Troops, athletic stores, as well as a variety of yoga studios. In terms of adult classes, I teach a mindful Vinyasa class that I consistently tailor to meet all students’ needs in the present moment. I guide students through a flow that is complemented by music, energy, and compassion as my focus is on alignment with room for each student to learn and grow at their own pace. My goal is that all students leave feeling confident, safe, and thirsty for more. Lastly, I also teach prenatal yoga classes. The processes and experiences during pregnancy and birth are inevitable and involuntary. Many pregnant women are unable to truly render and savor in the miracle that is happening. However, yoga aids in relaxing and finding the confidence and, most importantly, in the power of one’s own body to thrive during pregnancy and birth. The way that I teach prenatal yoga is twofold in that I emphasize breathing exercises while simultaneously actively moving the body, which benefits both the mother and baby. I believe that what sets me apart from others is that I truly am mentally and physically here for my students. I did not start Stretch Yourself Yoga with the mission to make a profit. Like anything, it is nice to receive pay for services, however, I teach yoga because I believe in it and I want anyone that wants to experience yoga to have the opportunity to do so. So, whether I am teaching a free class or series for an organization, teaching at a gym, or at a studio, I have the same mindset each and every time… I am here for my students. I put the same amount of effort into the planning process, the actual class, and follow up for every class, no matter the size, age, or level of class. I think that the proudest moment of my career so far is having the opportunity to teach for such a wide variety of students at a wide variety of places. Feedback is something that I am most proud of. The feedback that I have received from students has made me the teacher that I am today and will continue to make me a better teacher throughout my life, both on and off the mat. I always end my children’s yoga classes with the call and repeat saying, “Be Kind, Be True, Be You.” And, it doesn’t take too long before my students have memorized the saying and unconsciously say it out loud at the end of class. In addition, as cliche, as it might sound my heart skips a beat when I can actively hear my little yogis breathing out loud. There would be no yoga without pranayama (the breath) and so it is such a great feeling when my students are actively breathing and enjoying the process of learning new breathing exercises. I always wish that the breathing in adult yoga classes was as loud as in the children’s yoga classes because yoga is so much more than asana (movement). I taught a private yoga series for a family and each week I taught them a new breathing exercise and each week the mother would tell me how the kids practice the breathing technique when they were experiencing a difficult emotion. That is music to my ears!